Brian Hennessy, Operations/Planning Coordinator, Darwin. The Tomato Potato Psyllid (TPP) was found in Perth in February 2017, as reported in the March issue of Top Paddock. This pest affects plants in the Solanaceae and Convolvulaceae families, including potato, tomato, eggplant, capsicum, chilli, sweet potato and tamarillo plants. TPP is also a known vector of Zebra Chip, which can cause significant impacts on plant production. In response to the detection, a national surveillance campaign was undertaken. The Northern Territory surveillance covered the Alice Springs, Katherine and Darwin regions. More than 30 commercial growers, nurseries and community gardens were contacted and asked to be part of the survey. Sticky traps were installed near host plants at selected properties where they remained for a week before being collected and sent to the Berrimah Farm Entomology Lab for analysis. Figure 4: Sticky traps in place on farm. 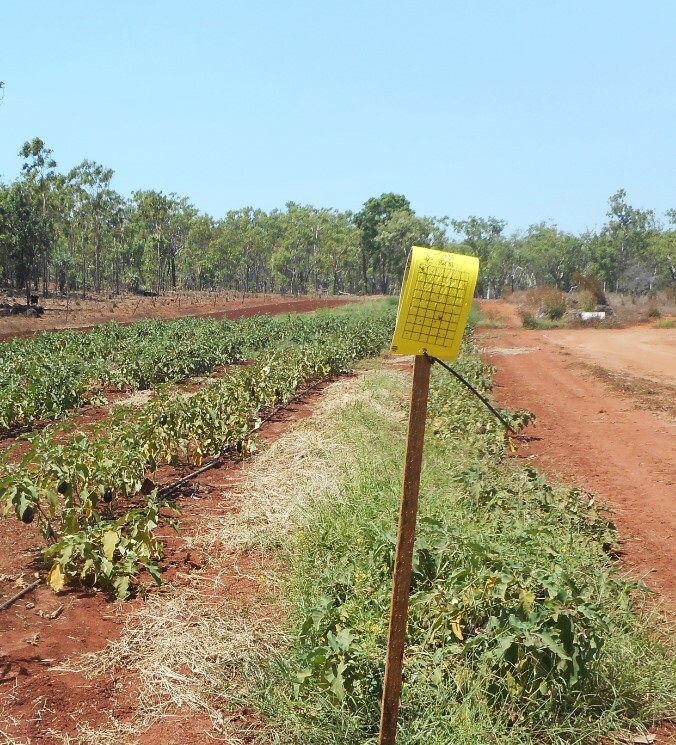 With the assistance of industry and community, the results from the sticky traps have confirmed no evidence of TPP in the Northern Territory. Ongoing surveillance will continue to ensure that any incursion into the Territory it is detected early and potential impacts to market access are minimised. 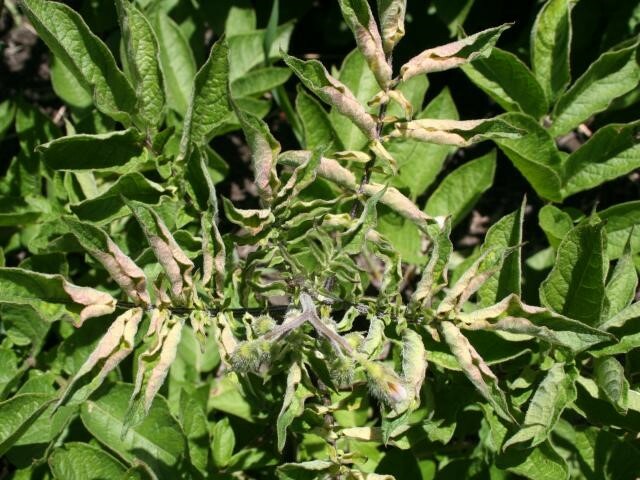 stem death symptoms similar to other potato and tomato disorders. Report any suspect plants or diseases to NT Quarantine on 1800 084 881 or via email quarantine@nt.gov.au. Visit the Farm Biosecurity website for more information.